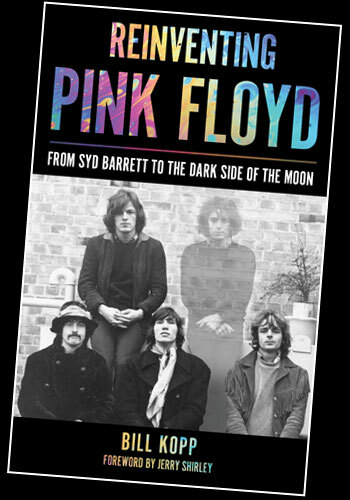 To be published on February 15th, 2018, is another book about the band; Reinventing Pink Floyd: From Syd Barrett to The Dark Side of the Moon, by Bill Kopp. 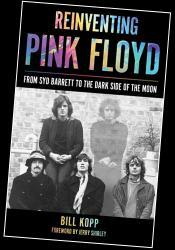 The book will focus on how Pink Floyd developed following the 1968 departure of Syd Barrett. Reinventing Pink Floyd will follow the path taken by the remaining band members to establish a musical identity, develop a songwriting style, and create a new template for the manner in which albums are made and even enjoyed by listeners. Veteran music journalist Bill Kopp investigates how that path was filled with failed experiments, creative blind alleys, one-off musical excursions, abortive collaborations, a general restlessness and a dedicated search for a distinctive musical personality. With a focus on the works of 1968 through 1973, drawing on new interviews with key personalities as well as archival interviews, it's currently available for pre-order on Amazon, but buying direct from the publisher instead at ReinventingPinkFloyd.com will save 30% off the list price. Look out for our review of this forthcoming book.